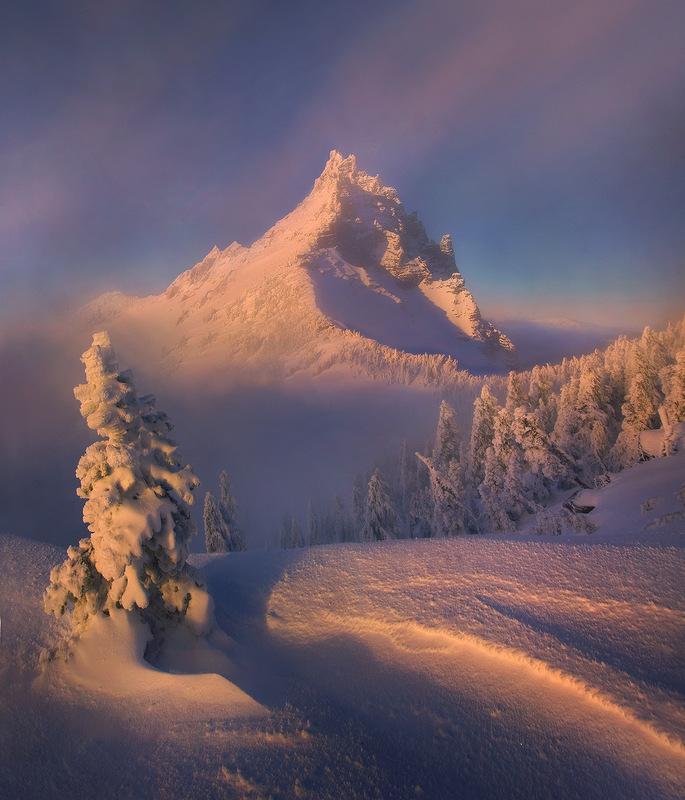 The photograph is from near my campsite on the south ridge of Oregon's Three Fingered Jack peak. It's a long day or two days backpacking to reach it. A storm was clearing and there I was, at sunset, sitting just above the clouds on my own mountain island in the sky, not another soul for miles.